Come stay in style with access to all the best Bend has to offer. 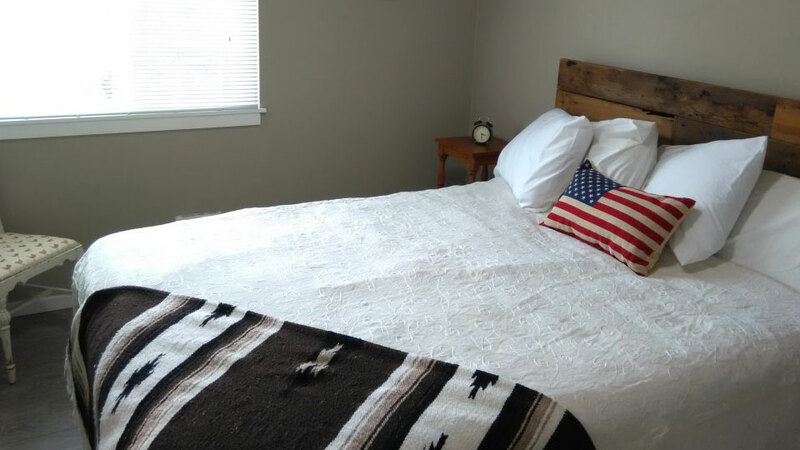 Bend River View Vacations has two newly renovated townhouse suites ready for you to call your home away from home. Located in a quiet neighborhood on Bend’s Westside, both suites are just steps to the riverfront Miller’s Landing Park, where you can see the Deschutes River slide by and watch kayakers, paddleboarders and surfers (yes, you read that right) test their skills on the manmade whitewater park’s rapids. Downtown Bend is within walking distance and offers fabulous options for dining, shopping, and simply strolling and taking in the sights and sounds. A short walk in the opposite direction will bring you to the Old Mill District, with miles of riverfront paths for biking and walking, fabulous shops and restaurants, a movie theatre, and the Les Schwab Amphitheatre, which hosts a line-up of big name concerts every spring, summer and fall. Bend River View Vacations’ suites are available year-round and amenities include private decks overlooking the river with beautiful views of the Cascade mountain range, in-unit washers and dryers, all new stainless steel appliances and furnishings, flat screen tvs with cable, and on-site parking. Make Bend River View Vacations your home base for your next Bend adventure.